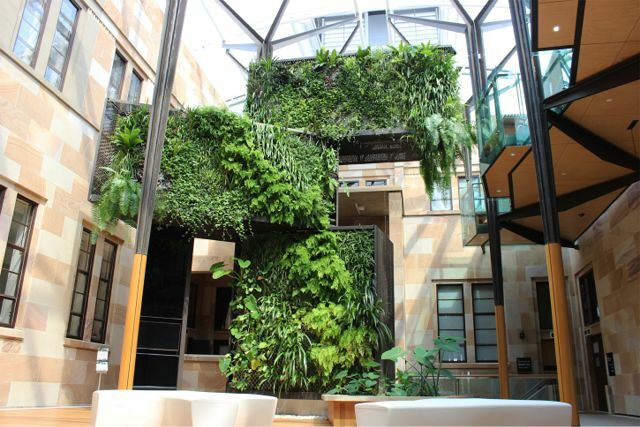 Located in the sub-tropical climate of Brisbane, the University of Queensland (UQ) is committed to embedding sustainability into all aspects of campus life. 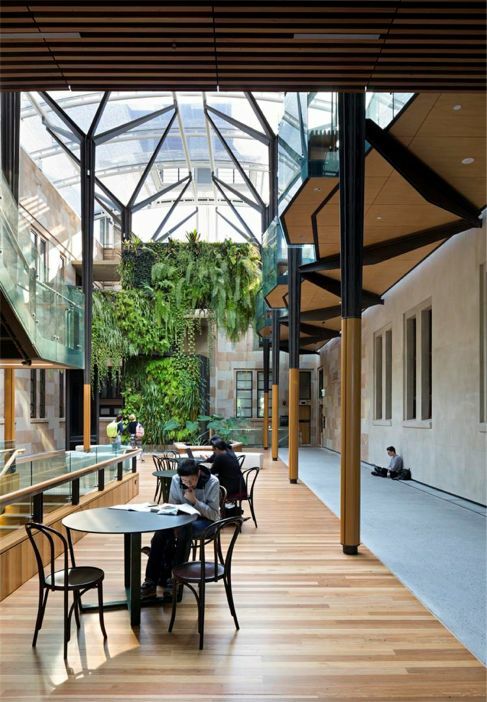 The 5-story Global Change Institute (GCI) is the first educational Living Building Challenge-registered project in Queensland, and the UQ’s landmark zero-carbon, 6-star Green Star rated collaborative hub generates more energy than it consumes. Designed by HASSELL, ARUP, and Bligh Tanner among others, the building also features a sophisticated sun shading system that tracks the sun and protects the glass louvers which create natural ventilation. 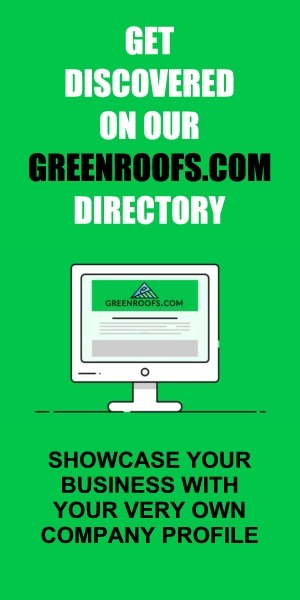 The air flows across occupied office spaces to the central atrium which acts as the building’s lungs, discharging warm air through its thermal chimney. 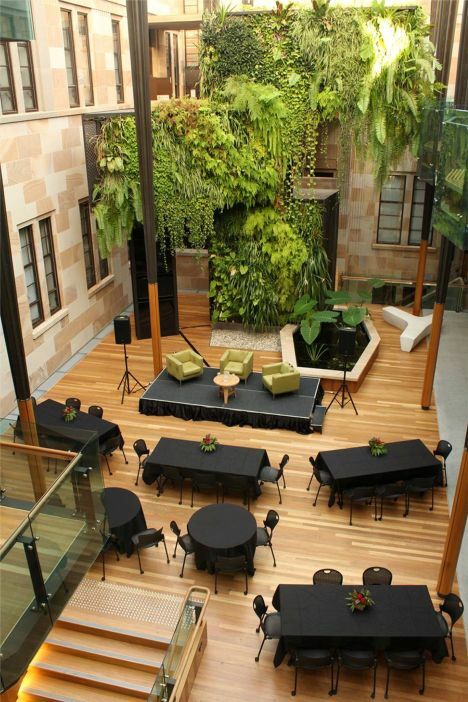 An onsite greywater system, bush tucker garden, bio-retention basin, and greenwalls enhance the building’s green ethos. 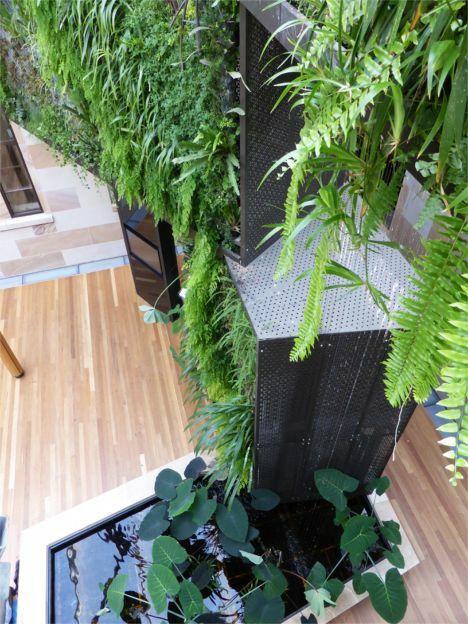 The Greenwall Company installed their paneled greenwall system over the indoor air-conditioning vents in the atrium designed to draw and expel air through the plants in order to maximize dust and VOC reduction giving a biological treatment to air in the building as well as providing amenity. The unique aspect of the irrigation and nutrient system of the greenwall is the water from the bio-retention pond is recirculated through the lower vertical wetland with the native rainbow fish and water plant waste providing nutrients for the plants. Due to the small pond size, a separate recycled water system irrigates the upper greenwalls from harvested rainwater. 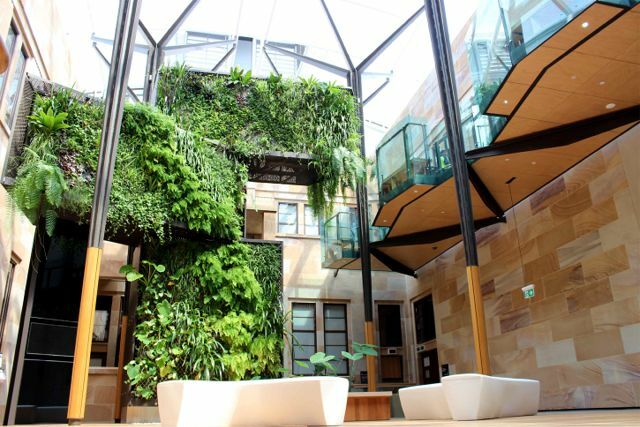 Australia’s greenest educational building demonstrates sustainable technological research and pilots innovative sustainable building solutions, and the atrium with its green walls is drawing staff, students and visitors from around the campus to spend time in its naturally ventilated, lush green space. Photo ©Christopher Frederick Jones, Courtesy of HASSELL. 1 reply to "Project of the Week for February 29, 2016: Global Change Institute"
Congratulations- it looks fantastic! 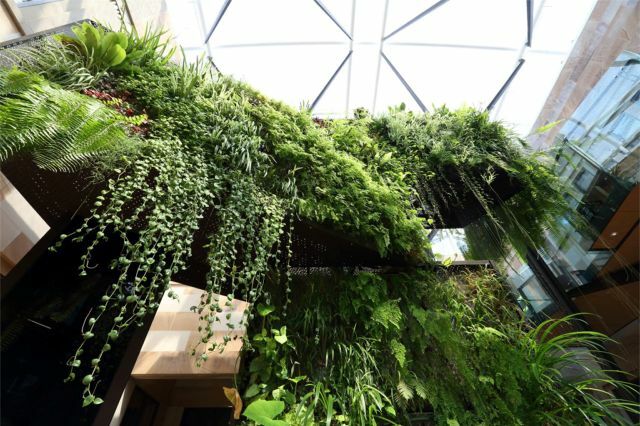 well done all you creatives….another splendid Greenwall Company project:), wonderfully integrated with the architecture and spaces.